Dr. David Lawrence Ashbach, 76, beloved husband of Arlene nee Rosenthal for 55 years; loving father of Barbara Thorn, Deborah (Robert) Gunville and Robert Ashbach; devoted Papa of Dustin (Laura), Brandon (Jessica), Skyler, Ashley, Patrick (Ellie) and Dominique; cherished great grandfather; dear brother of Lily Marie and the late Philip; many loving nieces and nephews; David was a selfless volunteer for numerous organizations. His passions included symphony, opera, museums, photography, bird watching, National Parks and the Chicago Blackhawks; but his biggest passion was his grandchildren. 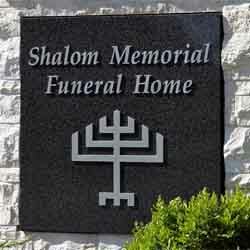 Chapel service, Sunday 12:15 PM at Shalom Memorial Funeral Home, 1700 W. Rand Road, Arlington Heights. Interment Shalom Memorial Park. Memorials may be made to New Star Services. For information or condolences, (847) 255-3520 or www.shalom2.com. It is with great sadness that I share my condolences to the family of Dr. David Ashbach. Dr. Ashbach will be greatly missed by his colleagues, patients and friends. Dr. Ashbach advocated for me when I applied for the privilege to see patients at Methodist Hospital and I will be forever grateful for his support. He was always a welcome presence. Sir, rest in peace. David you are my best friend and my partner.I have so many fond memories and you helped me so much.You will be missed.Your memories will live on forever in our hearts ..I will miss you.You are a great nephrologist and good clinician and you cared so much for your patients. Rest in peace my friend,my partner and my beloved brother. Dave was an excellent physician and friend. I will miss him. God bless and comfort you all. Here’s to the best Grandpa anyone could have asked for! I love you! My name is Mamie Mason I'm the President Of The National Federation Of The Blind. Dr. Ashbach was a very good doctor and he became my friend. I just want to take time to send prayers to the family and to the stuff .May God continue to keep his loving arms around each and everyone doing this difficult time. May he rest in peace. May God remember the soul of David Lawrence Ashbach who has passed to eternal rest. O God, I pray that you will keep the soul of my dear______________ united with us in the bond of life. In his/her memory, guide me so that I will live righteously, fulfilling Your will and serving our people. May his/her soul rest in peace and be remembered as a blessing. O God, as I remember, David Lawrence Ashbach I pray that I may emulate all that was good and righteous in his/her life. May his/her soul be given eternal life and his/her memory always remain a comfort and source of inspiration. A link has been broken in the chain that has bound us together, yet strong bonds of home and love hold us each to the other and we give thanks for the blessing of life, of companionship, and of memory.